Why Would I Choose an Open Adoption? Open adoption can seem like a very intimidating idea to both birth and adoptive families. It leaves so much unknown. In most states, open adoption agreements are not legally enforceable but are rather contracts of good faith. That, in and of itself, seems like a huge risk to undertake for both sides. However, open adoption is being brought to the light for the healthy and beautiful experience it can be. It is also becoming more prominently encouraged by adoption agencies and attorneys for many reasons. 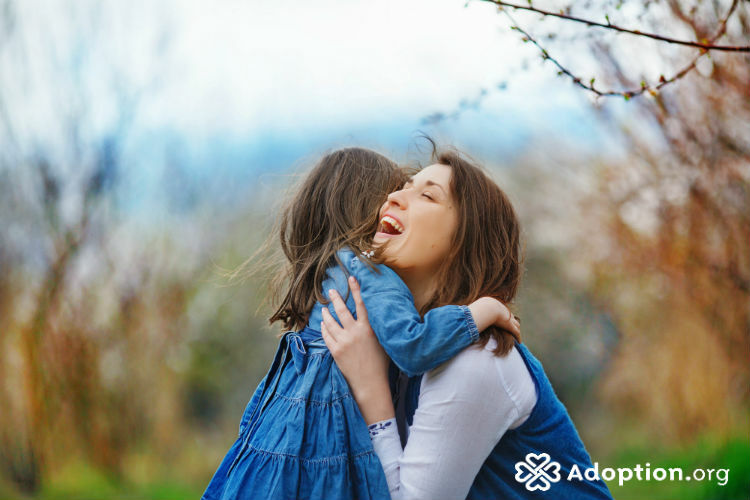 Studies and experience show three main reasons that open adoption is a great journey to take when possible. 1. Healthier for the child. Regardless of what age a child is adopted, their life has a story that began before their adoptive family. They have a mother and a father, grandparents, possibly siblings who all share their DNA and cultural background. Many of those extended family members, such as siblings, did not choose adoption. The child did not choose adoption, nor did they choose to not have a relationship with their siblings. It can be easy, especially in newborn adoption, to take on the “out of sight, out of mind mentality.” However, when a child discovers they are adopted, it is normal for them to have questions. When children know from the beginning that they are adopted and are able to put faces to the names of their birth family, it gives them a sense of normalcy. Their normal began with knowing their story and the family dynamics that come with their background. When they have questions they can feel confident, not only that they can find the answers, but that they also have firsthand knowledge of where their journey began. Along with this sense of normalcy, open adoption allows for more history and less mystery. At the forefront of this reasoning is a full medical history for an adopted child. Not only does open adoption allow for birth parents to disclose a full medical history, but it also allows for an ongoing medical history. Many genetic illnesses may not manifest until later in life. If a child ever experienced an illness where donations from blood relatives are needed, open adoption makes for a much more expedient process and provides a medical safety net. It is also common for children who were adopted to go through an identity dilemma when they get older. When children do not know much or know very little about their birth family, this dilemma can be much harder on them as they have fews ways of understanding who they are. Even if their adoptive parents have general answers about the child’s background, the sense of a personal relationship and connection is lost. It also eliminates the need for a birth family to have to worry about their child and what their life must be like, or if they are okay. It can provide an incredible sense of peace for both sides. 3. Too much love is not a thing. While it is completely understandable that open adoption is not always an option for safety reasons or otherwise, it should never be counted out due to pride. Many will say it is hard to “share” a child. Some birth parents may experience the difficulties of having their child call someone else mom or dad. While I understand the sentiment, the child is not an object nor is it sharing. Children know the different dynamics in relationships, even when they have two sets of parents. My daughter will have a relationship with her mom that we will never have, and my daughter will have a relationship with me that she will never have with her. We both may be “mom,” but we will both mean something completely different to her. What it comes down to is an understanding that, when possible, having more people who love and care about my child, who can make my child have a full sense of identity, and who can be there for them for the best and worst days of their life is never a bad thing.